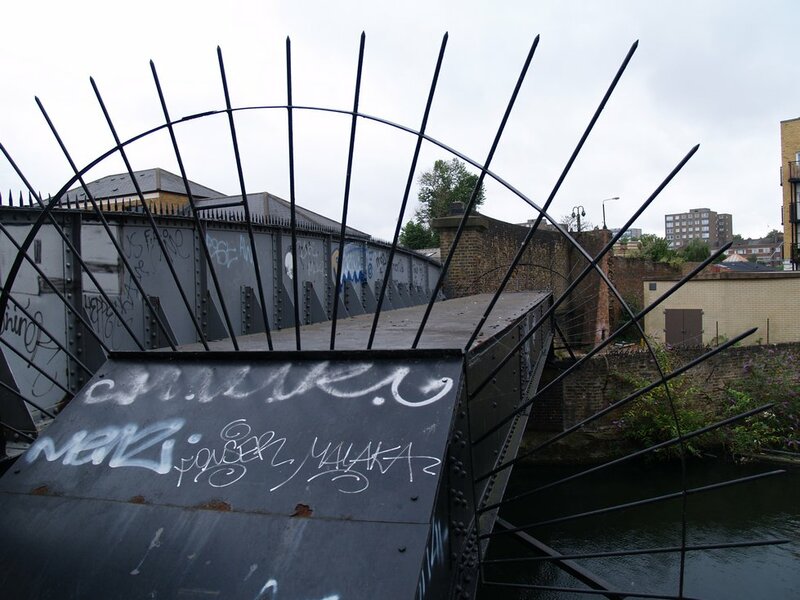 The Black Ditch rose in the Shoreditch area running through Bethnal Green to Stepney and joining the Thames at Dunbar Wharf in Limehouse. 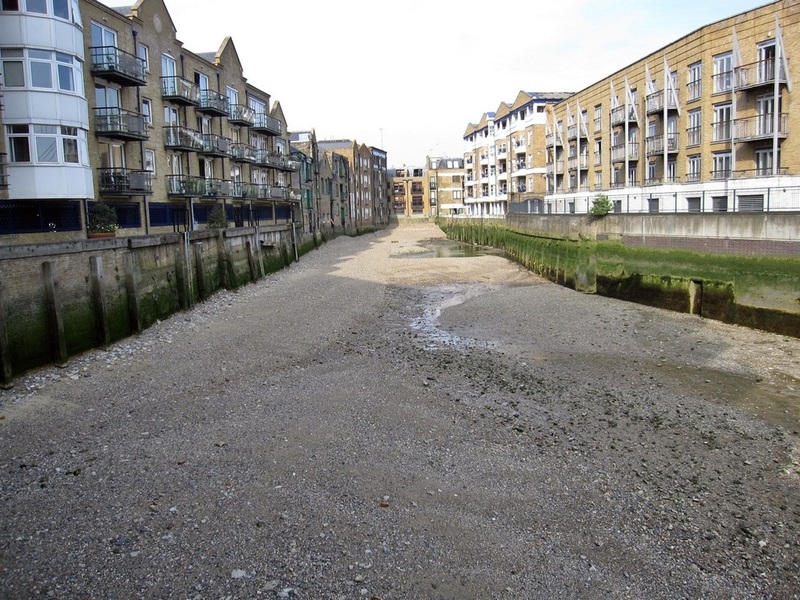 The earliest reference to this watercourse is when a Saxon warrior called Stibba landed on the Thames in the tenth century in what is now the Limehouse area and rowed up a navigable channel (presumably the Black Ditch) and built a village now known as Stepney. 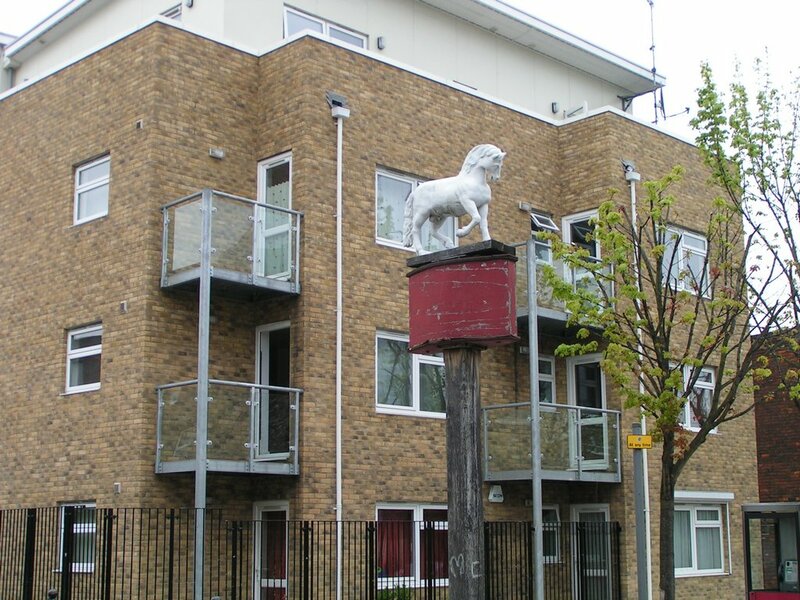 In Whitechapel the watercourse created a pond labelled on ancient maps as a ducking pond - where petty criminals were strapped to a chair which was fastened to a long wooden beam fixed as a seesaw on the edge of the river and dunked into the river as a method of punishment. A stone bridge crossed the ditch in this area. Another stone bridge over the Black Ditch is documented further downstream on Poplar High Street as early as 1452 and later maps refer to a Stonebridge Pond, a watering place for horses and cattle in front of an inn called The White Horse which stood on the site between 1890 and 2003. The water in this area became increasingly stagnant and diseased and contributed to a cholera epidemic in the early 19th century. The Black Ditch emptied into an inlet of the Thames at Limehouse known as Limekiln Dock. The name Limehouse actually comes from the lime oasts in Limekiln Dock in the 14th century and used to produce quick lime for building mortar from chalk brought in by boat from Kent. This was later an embarkation point for the first voluntary Australia-bound steamer passengers. The route of the Black Ditch from Stepney is shown on a 1799 map of London although appears as an underground watercourse on a plan for the Sewerage of the Metropolis, which appeared in 1851. The upstream course from Stepney is harder to trace on maps and was culverted much earlier. 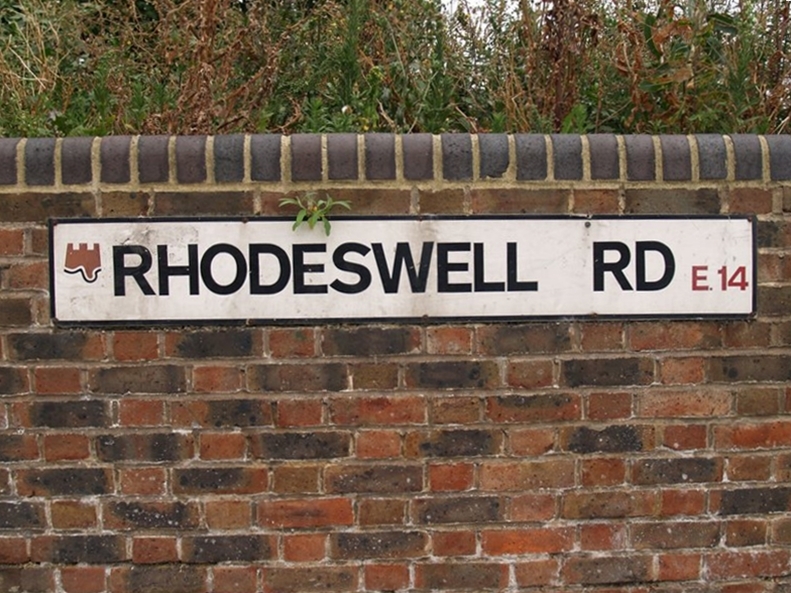 The majority of maps show the Black Ditch originating at a pond on Rhodeswell Road which was once names Rogues Well. The Black Ditch emptied into an inlet of the Thames at Limehouse known as Limekiln Dock.